The function and role of the nutrient elements Nitrogen (N) for plants – we know that much needed nutrient elements of plant to be able to grow and develop to the maximum. For that reason sometimes we do fertilization on soil, which is none other than is to enrich the nutrient elements on the ground into a medium for planting. One of the much-needed nutrient elements of plant to grow is important the element nitrogen. Nitrogen is a chemical element represented by the letter N. nature of the element nitrogen is colorless, odorless and tasteless feels. This element also shaped gas that is 78% of the volume of the Earth's atmosphere. Historically, the element nitrogen was discovered by Scottish physician Daniel Rutherford in 1772. This item is needed by all living things as it is a constituent element of amino acids, so including proteins, and nucleic acids (DNA and RNA). For the plants themselves, the element nitrogen is very important. In general the element nitrogen is absorbed by plants in the form of NO3-and NH4 + are then entered into a gas and amino proteins. Therefore, the element nitrogen is mostly located in the air, i.e. in our atmosphere, then his presence in the soil is actually very little. One of the things that cause this is the nature of the element nitrogen readily soluble in water. As for the element nitrogen can we find in the soil organic nitrogen i.e. where the element is generated by interaction or symbiosis minerals with humus soil. The available nitrogen in the soil must go through the process in advance, for use by the plant, could not be used directly. This process also occurs in the process of denitrification process where microbial soil depends generally preferred the compound in the form of ammonium ions rather than in the form of nitrate ion. Increasing levels of amino acids and proteins on the ground. Increasing the production of foliage so that it is suitable to plant vegetables. Increase activity of the organism in the soil causes of fertility. 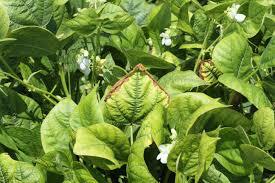 Assist the process of synthesis of amino acids and protein in the plant. Give color to the plant. Provides a long life at the plant. Helps metabolize carbohydrates in plants. Nitrogen can also serve elements increase the soil PH to which it is so required by the plant. Plant growth will be impaired or dwarf. The color of the leaves are yellowing and even will wither. Production of the leaf or fruit will decrease. Phase of growth will be stunted. The leaves on the plant-shaped short, narrow, even erect. The fruit, a small, easy loss, quick die and not be well developed. Less sturdy shoots on roots or not sturdy at all, causing the plants easily uprooted and dies. The fruit is not easy cook or slow Cook. Fertilization will be inefficient and ineffective because the plant's absorption ability is not so good. In the case of a shortage of heavy nitrogen elements will result in deaths at the plant. Thus we know that the presence of nitrogen is very functional for a production plant. Especially in the plants bear fruit and vegetables also.